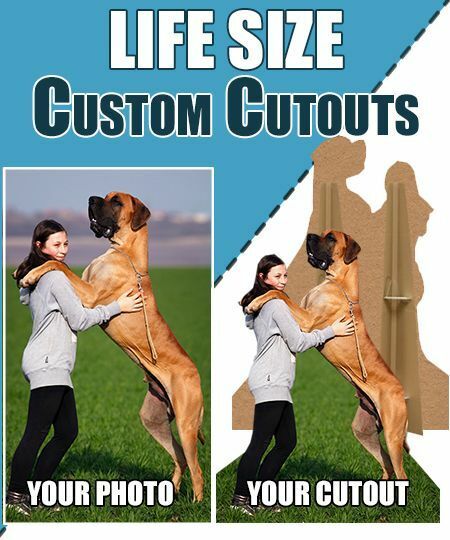 For a limited time Life Size Custom Cutouts is offering spring pricing on custom cutouts. 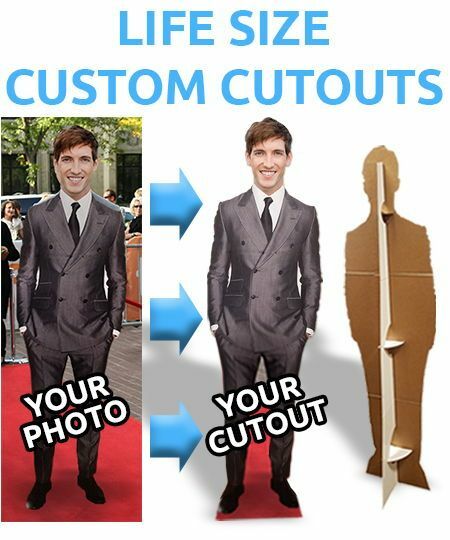 Order now for an average savings of $20 on your life size custom cutout!. 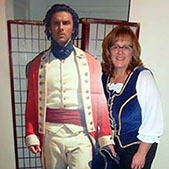 Life Size Custom Cutouts are printed on high quality materials in vivid color, making them great for advertising, or novelty for a corporate event that is sure to get a "WOW!" 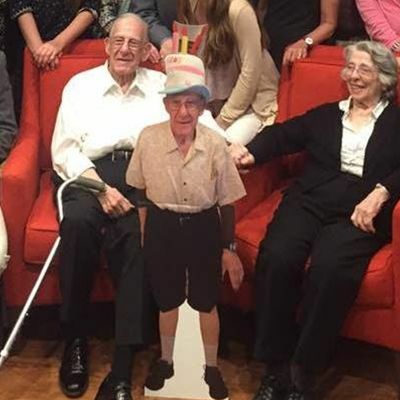 custom cutout in a hurry? on orders before 1 P.M. EST. 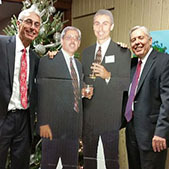 To ensure that your custom cutout is the best it can be, we have a set of photo resolution guidelines. If you have any doubts or concerns on the quality of your images, please check out these basic guidelines. If you still have questions, please don't hesitate to contact us. Try not to zoomy, just step closer. 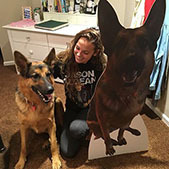 29+ Years of printing has allowed Life Size Custom Cutouts to stream line the custom cutout process allowing us to offer next day custom cutout production. 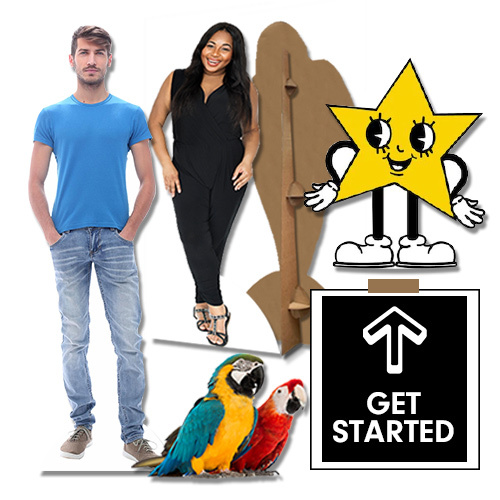 Personalize your custom Cutout with your choice of 3 custom cutout materials - cardboard cutouts, foamcore cutouts and coroplast cutouts. Custom cutotus made from your photo. Contour cut to the subject of the cutout with easel attached. 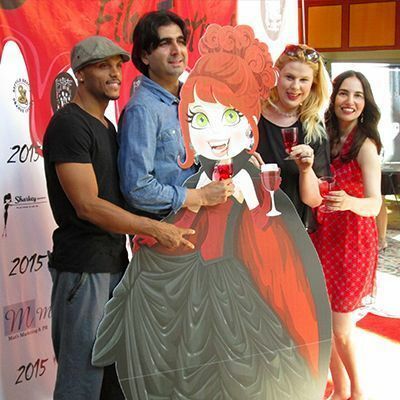 Great for parties, anniversaries, events and marketing. Approved orders ship next day. 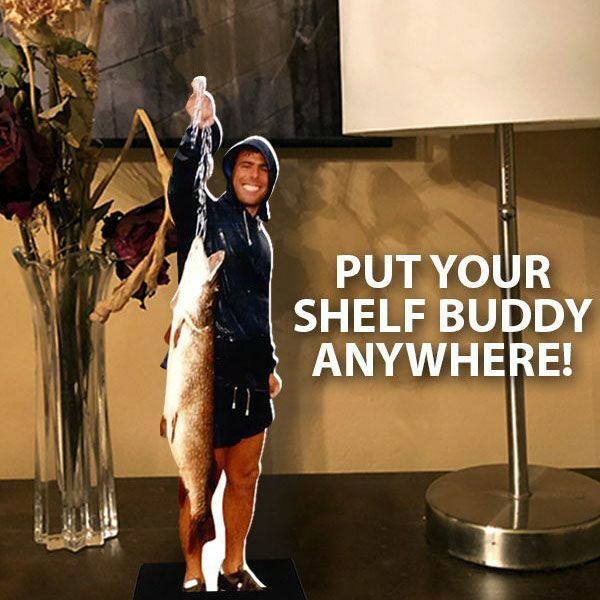 Shelf Buddies are 8" or 12" custom acrylic cutouts. 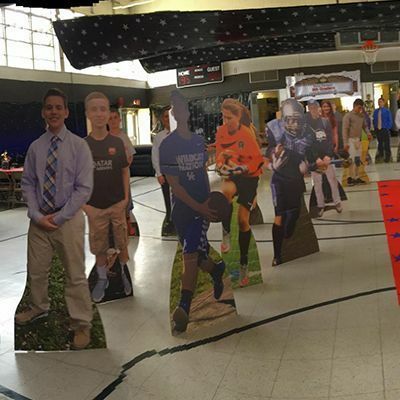 Buddies are designed to free stand out of the box. 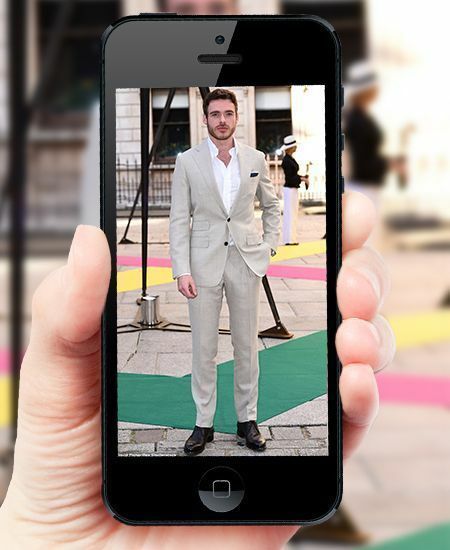 Great for older low quality photos not capable of being enlarged. 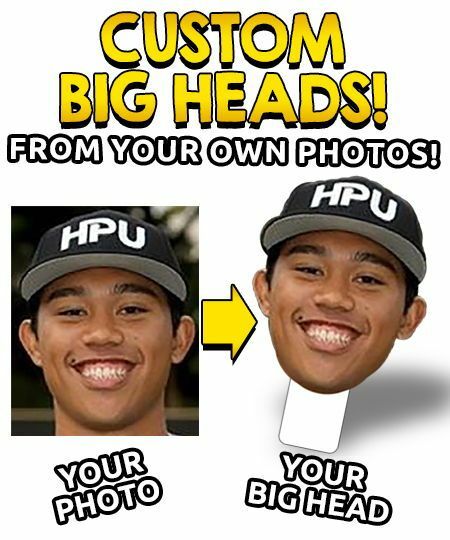 Custom big heads show your spirit at any event. 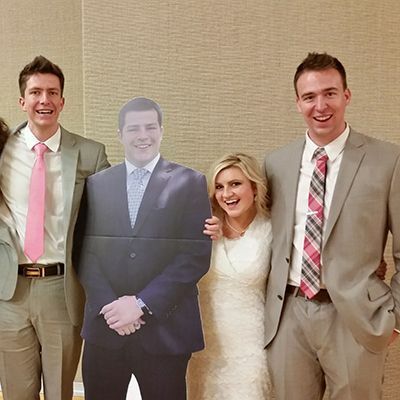 Cardboard big heads are made from your photo and come in a range of sizes from 1FT to the 5FT MONSTER-KA-BOB size. 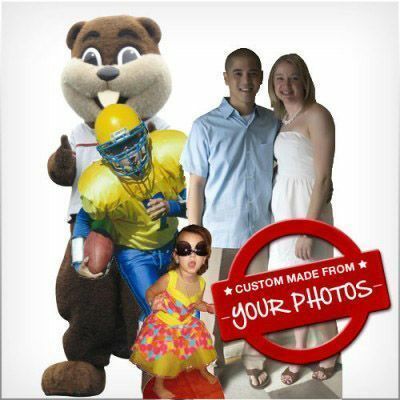 Countour cut vinyl wall decals made from your photo. 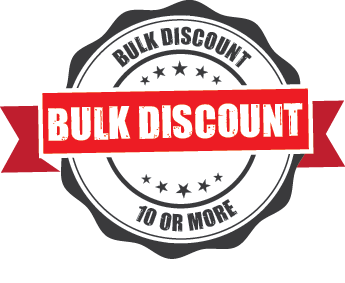 Hd printing brings photo realistic quality to your walls. 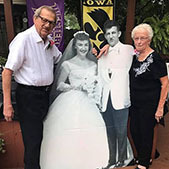 Capture that special moment with out harming your walls.